Hurghada is a surprising but beautiful exception among the top tourist destinations of Egypt. This city has great hotels, entertainment facilities, and restaurants and just about everything a tourist would like to have. However, Hurghada is bereft of any pyramids or other colossal ancient structure that are so identical to Egyptian cultural heritage. Founded in the early 20th century, Hurghada is a modern city that attracts the citizens of European countries with its sheer intensity of leisure and relaxation. This Egyptian destination by the Red Sea boasts of a wide variety of water sports like windsurfing, sailing, deep-sea fishing, swimming, but, above all, snorkelling and diving. Situated on south of Suez Canal, Hurghada, until a few years ago, remained a small fishing village. It starched for 40 km by the pristine shores of Red Sea. However, today, it has gone on to become the foremost tourist resort of the Red Sea coast and an international centre for aquatic sports. It provides accommodations to approximately 40,000 inhabitants and city houses are often let as ‘apartments for rent’ for the swelling group of tourists. Hurghada is basically divided into several small urban zones each having a unique feature attached to it. While Sharm El Naga is home to one of the best reef cliff in the region, El Gouna serves as a private and secluded retreat for the wealthy bunch. However, it doesn’t mean that the budget traveller will find no affordable accommodation in Hurghada. El Dahar is the oldest part of the city that hosts the market place and other administrative locations. Restaurants are mostly along the main road. Here tourists can conveniently find hotels or hostels against reasonable rates. 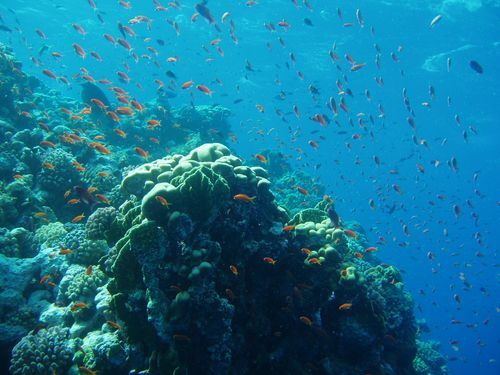 While in Hurghada, tourists are advised not to miss the museum and aquarium, with their complete collections of flora and fauna of the Red Sea.